I had just finished my treatment at the doctors when I got an idea to take the kids to Castle Fun Park. We jumped in the Flex and headed east to CFP. The entire ride the kids couldn’t contain their excitement. It was like someone had given them a 2L of Coca Cola to drink before they got into the car. We arrived after a 10 minute ride, and went immediately to purchase our tickets. One of the traditions we have when we visit CFP is the kids get a blue slushy to drink. I think this is the highlight of the trip for the rugrats. After getting some food and their blue slushies, it was time to head upstairs and play some games. It was our first time at CFP in a few months. They had obviously done some renovations and upgrades since we were there last. It was a blast watching the kids have so much fun. We are one of those families who haven’t really let their kids get involved with video games (and we are ok with that). We made our way around the arcade. Each kid had their own card and could decide what games they wanted to play. It is hilarious watching 3 kids trying to figure out what game they wanted to play. I think they were on sensory overload. Part way through our evening, Memphis decided that he wanted to play ‘dome hockey.’ How many remember ‘dome hockey?’ I am not too sure if that is even the name, but oh well, that’s what we call it. We headed over to the game and made our teams. It was Nola & River against Memphis & Dad. Earlier I started to feel a bit dizzy, but nothing too much. I ignored it, and kept playing with the kids. A couple of minutes into our game and the dizziness seemed to increase, and the next thing I know – I hit the ground! I had passed out. Where was I? How did I get here. All I remember is playing with the kids on the ground – or at least that’s what I thought I doing. Panic started to set in. I was scared. Not for me, but for my kids. They had no idea what was going on. I was out of control. Thankfully, there were two guys playing pool who had seen what had happened. They were concerned. I am sure they thought I was drunk. They called for help, and a few seconds later, two ladies showed up. I made my way to a car video game, and sat down. I still didn’t know what was going on. Nola is crying, the boys seem to be oblivious, the room is spinning, and I have no idea what is going on. Crazy! Nothing like this has ever happened to me. Things seemed to be settling down, and I was beginning to feel better after a few minutes. I called Jamie, and she arranged for the kids and myself to be picked up by our good friend Lizzie. After a couple of minutes we headed downstairs to wait for our ride. The ladies with us were amazing! They did a fantastic job calming the kids, and even played a few games with them while we waited. Five minutes later, Lizzie & Jill showed up. As soon as I saw them I lost it. I don’t think I have ever cried so hard. 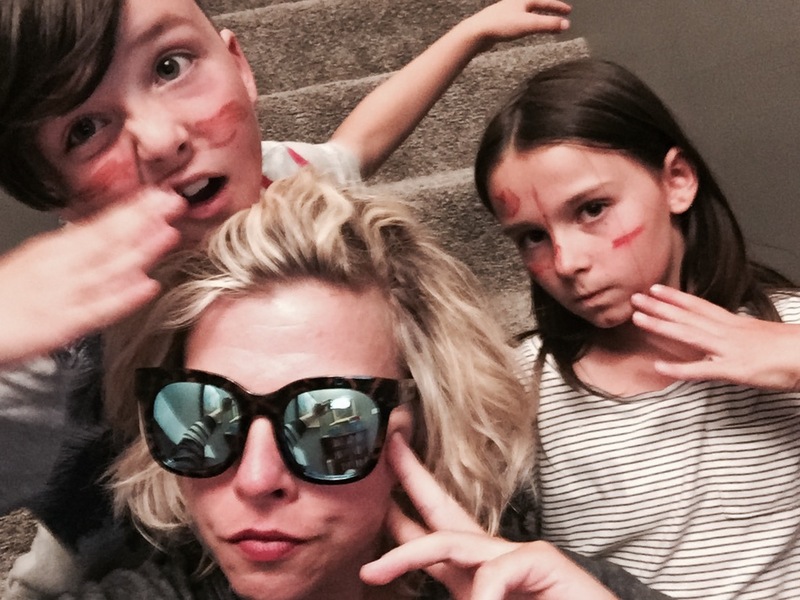 I was scared – but mostly for my kids. I was relieved to see them. They just wrapped their arms around me, and assured me everything was going to be ok. Check out the below video of our scary adventure to Castle Fun Park. You actually see the moment I pass out. FYI – I am fine. There is nothing to worry about.